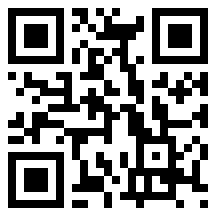 My current email address is tanmoy@mindspring.com. My previous address tanmoy@mylaptop.com will not work any more. For encryption, use my PGP/GPG key: 0x38AD6230DF079FAC (Fingerprint: C18A 641F 8558 214A DE6B 27E6 38AD 6230 DF07 9FAC). This is my personal home page. If you are looking for my official homepage at Los Alamos National Laboratory, that is not updated any more; though the LANL contact email, phone, and fax numbers are available there. Please do not use those to contact me except on LANL business. You can get my updated CV here. For general scientific and technical correspondence, you can contact me at tanmoy@santafe.edu, and purely personal conversations can be directed to tanmoy@mindspring.com (address subject to change). If you want to actualy talk, call me at home—35° 53' 33.00'' N 106° 17' 41.28'' W at an altitude of 7440'—at +1 (505) 662 5596. On work days, I am usually home after 8:00 PM mountain time (-0700 or -0600 if daylight savings time is in effect) and till at least about 6:45 AM. My cell phone, at +1 (505) 660 5404, also works, but reception is not at its best when I am at work at LANL. You can also try to reach me by Skype at tanmoy87544 (instant messaging to tanmoy87544 with Y!M, tanmoy_bhattacharya@hotmail.com with MSN, tanmoy87544 or btanmoy with OSCAR (AIM), 204910355 with OSCAR (ICQ), tanmoy@jabber.org/Gaim with Jabber, or tanmoy with SILC may sometimes work). For all Google products, including gmail and google chat or video chat, my id is tanmoy87544, and will usually reach me faster. My 10 digit cell phone number at vtext.com can handle extremely small (definitely much less than 200 characters) text messages to forward them to my cell phone (and vice-versa) if it is switched on somewhere right, and the same at vzwpix.com works the same way for small pictures and videos. Beware: Though Tanmoy was a fairly uncommon name, it seems it became quite popular around the time I was given this name. As a result, I find a number of namesakes today. Since this is my personal web page, I now indulge in the vanity that someone reading so far down wants to know what kind of a person I am. In this age of instant gratification, I feel compelled to entertain those with little epistemological qualms that come here looking for a short answer and provide for them the results of some personality tests and my astrological readings. 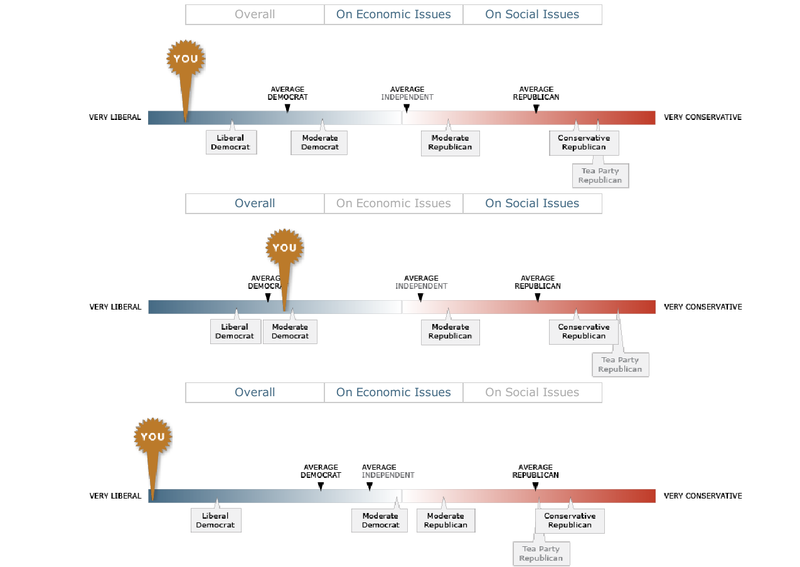 According to a PBS poll before the 2012 US presidential elections, I am very liberal in the relevant political views: see here for details. And, I am an early bird, see here. For those that believe instead that history provides the surest guide to present truth, I provide a brief biography here, with technical details relegated to a listing of events, useful, perhaps, only as an aid to my memory. I, তন্ময় ভট্টাচার্য্য in my native script (pronounced ['t̪ɔ̹nmɔe̯'bʱɔʈʈaˌtʃaɹdʒo]), तन्मय भट्टाचार्य, in Hindi, the national language of India, 坦莫伊·巴塔查里亚 when my name was written in Chinese, and バッタチャルヤ, タンモイ in Katakana, was born in Calcutta in West Bengal, India in 1962. According to the calculator written for the BBC incorporating interpolations of the UN Popuation Division figures, I was around the 3,173,265,422nd person alive on the date of my birth, and the 76,947,062,705th person to have lived since 50,000 BC (the latter based on a modification of the method proposed by Carl Haub). By the time my daughter was born about 54 years later, the same calculator shows that the number of people living had more than doubled to 7,379,384,464 and the number of people who ever lived was 83,889,350,664. When I was about 3 months old, I was taken to New Delhi. We kept on changing houses there mainly in the Vinay Nagar and Hauz Khas regions of what was then almost the southern extremity of the city. I have collected together a brief genealogy of my family: you may browse through it if you like that sort of stuff. I started my schooling at Vinay Nagar Bengali Medium Higher Secondary School, but changed to Mother's International School (associated with the Delhi Branch of the Sri Aurobindo Ashram) about a month later. After spending five years there, I moved to Bhallavram Mehta Public School run by the Bharatiya Vidya Bhavan when I was eleven. At the age of thirteen (in class eight), we moved to Barrackpore, a suburb of Calcutta; and started attending the Barrackpore Central School (or Kendriya Vidyalaya Barrackpore) at Palta. I passed the examination conducted by the Central Board of Secondary Examinations at the end of the 10th class in 1978, and continued studying in the same school. In 1979, instead of continuing towards the second board exam at the end of the 12th class, I enrolled as a student in Indian Institute of Technology at Kharagpur, West Bengal, working towards a degree in Physics and staying in RK hall, a part of the infamous C top east crowd. I completed my Bachelor of Science degree in 1982, and continued on to get my Master of Science degree in 1984, with a dissertation on the Clebsch Gordon problem in SL(2,R) (see The Gel'fand realization and the exceptional representation of SL(2,R) with D. Basu (my advisor) in the Journal of Mathematical Physics 26 (1985) 12). From there, I moved to the Theoretical Physics Group of Tata Institute of Fundamental Research, Bombay, which is in the state of Maharashtra, India. In 1989, I got my Doctorate of Philosophy in Physics under Professor Probir Roy with a thesis on the Phenomenology of Superlight Gravitinos. I then joined the Brookhaven National Laboratory at Brookhaven, in Long Island not far from New York City, NY, USA, as a postdoctoral fellow and spent two years there. There I worked on some perturbative aspects involved in the definition of mass and widths of states near a resonance with Scott Willenbrock, and on some aspects of perturbation theory in high temperature field non-abelian gauge theories with Andreas Gocksch, Robert Pisarski and Chris Korthalz-Altes. I was also interested in phenomenological calculations in weak interaction physics, and interacted strongly with Sally Dawson and David Atwood. Interactions with Michael Creutz, Amarjit Soni and Chris Korthalz-Altes turned my interest towards Lattice Gauge Theories, and the whole field of non-perturbative physics in general. I enjoyed the next year working at Service de Physique Théorique at CEA/Saclay near Paris in France. I worked closely with Robert Lacaze and André Morel on the large q expansion of the Potts Model with a view to explaining the conflicting numerical results at that time. I also worked on simulating the stacked triangular anti-ferromagnet with Alain Billoire and Robert Lacaze. In Nov 1992, I came back to the States to join the high energy particle theory group at Los Alamos National Laboratory situated in Los Alamos, New Mexico, as a postdoc. I worked with the Lattice QCD collaboration on a high statistics study of the light mesons and baryons in the quenched approximation. In Nov 1995, I became a limited term staff member here. In Feb '99, I became a regular staff member and currently work on a variety of interesting topics. In Aug 2005, I became a part time resident faculty at the Santa Fe Institute for the next few years, and am excited about all the new collaborations that I hope to participate in here. 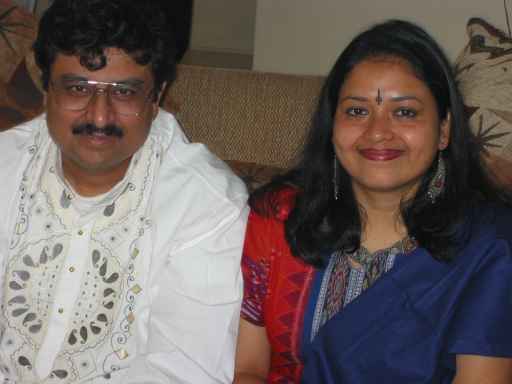 On Nov 22, 2003, I married Kumkum Ganguly, who works at IFEM, University of Pennsylvania. Our daughter, Adrija, was born on Oct 19, 2016. In my spare time, I used to write computer programs for free, participate in comp.lang.c and a host of other newsgroups and discussion lists, and tried to find my genealogy. I also looked at the Hindu mythic genealogies for fun! (I also sometimes used to create my friends' genealogies: see Samantha's Genealogy—no longer being updated—for an example). I am also transcribing on to the net information about history of bengal. I have also designed a keyboard for use in entering bengali and hindi in unicode: it is probably too idiosyncratic to be of use to anybody else, and have a bengali setup for macintoshes as well. Of late, I don't seem to have any spare time anyway: not even to read anything. I guess, those that have the time cogitate, the rest of us ruminate. I am not dead yet, so it is difficult to complete this biography. Or, as a friend pointed out, probably it would be even more difficult then. Enough said! To get to my house, drive up to Los Alamos along route 502. If you are starting from Santa Fe, or from I25, drive North along 84/285 (it is called St. Francis Drive in Santa Fe, and Route 64 is probably also the same road in this region) and follow signs to Los Alamos. 502 branches off to the West at Pojoaque. Stay on Route 502 as Route 30 branches off to the North to Española and Route 4 branchess off to the South to White rock (even though White Rock is to the south, you make a left turn to stay on Route 502), and climb the hill between the Los Alamos Canyon to the south and Pueblo Canyon to the north, to reach Los Alamos. The road is called Trinity Drive inside town. The main cross street towards the end of Trinity (i.e. near the West end; there is the hospital to the left and a church to the right at the junction) is called Diamond Drive: turn right (North) on to it and go all the way (it crosses Pueblo Canyon, and turns east as it crosses the School Canyon) till you come to a traffic circle. Turn right (South) on to San Ildefenso, the main artery into North Mesa which turns East. Just opposite the middle school, turn on to Camino Durasnilla to the right (South) which turns West, and turn right (North) onto Camino Uva at the end of this lane. Our house is on the cul-de-sac of Camino Uva with its back to San Ildefenso. Here are a road map, a road view, a topographic map, an aerial view, a sattelite view of the region, and a map of just Los Alamos.